The fourth City festival of folk art “Stories by Beauty Kanda” is happening on August 29 in Kandalaksha. The festival will include a beauty contest, will feature singing and dancing groups, and most of the city and area craftsmen will be present too. Last year it was a lively event worth visiting. If you want to be an active participant – and there were a few from abroad last year – e-mail mo.sodeistvie@yandex.ru or phone 8 (81533)9-40-46 before August 19. In the Central House of Artist in Moscow (Krymsky Val 10/14) soon opens a big exposition featuring 65 works, mostly from the collection of the Murmansk Regional Art Museum, by classic Murmansk artists, starting May 27 and closing on June 19. Our shop is considered as a local attraction. We often hold tours for tourists, showing them our shop and work we do. Up to now the vast majority of our visitors have been Russian speakers. For the last little while however I have been practicing doing this presentation in English. So I invite English speaking travelers to visit our shop and see the work we do. This is totally free. Write tomast.ruk@yandex.ru or call +7 911 3050721 / +7 911 3013979 to arrange for your visit. The Celebration of the North and Reindeer Herder’s Day are held in Lovozero every year in the 20s of March. The event includes reindeer and dog sled races, ski races, and winter football. A artisans fair is held and Saami national cooking offered. Here are a few photos from the most recent event that took place March 19-20 by Oleg Filonok. “Kamenny Tsvetok” (“Stone Flower”) is one of the best known large-scale events, with over 100 participants, in the Murmansk region. This year it is held in Apatity from Feb. 10 to Feb. 14 in the “Palace of Culture”, ul. Lenina 24, open from 11am to 7:30pm. There you will find rare minerals and articles made of stone, bone, glass and amber as well as jewelry and books on the history of Kola north. Here are our photo report on last year’s Stone Flower. Starts on Jan. 18 and lasts for a week the 5th festival of snow and ice sculpture “Snegoled” (“snow ‘n’ ice”). During this week participants from the Murmansk region and six other Russian regions, Scandinavia, and Latvia will be making sculptures. 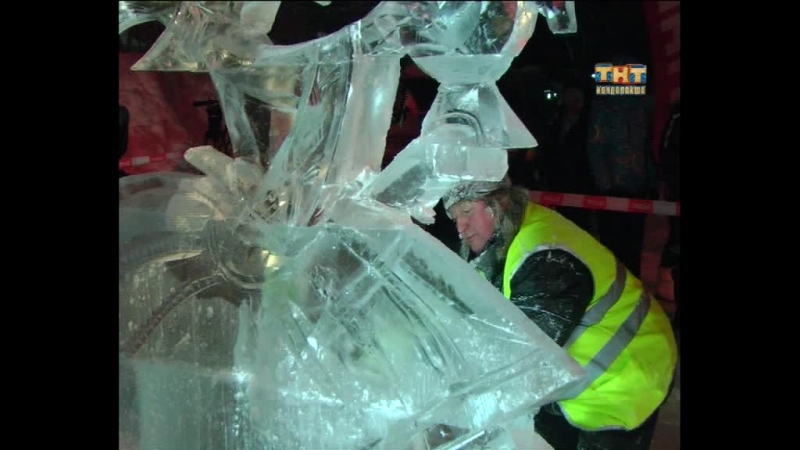 The festival will end with a competition to create ice sculptures within 90 minutes, entitled “Beshenaya pila” (“Crazy chainsaw”) on Jan. 23. Looking for a chance to integrate with the locals while making a cute little souvenir to take home? Consider signing up for a workshop where you’ll learn to make something neat, and have fun and make friends in the process, such as making Chrismtas angel dolls on Jan. 5 at the Pomor Culture Center in Belomorsk, Karelia, at Ul. Oktyabrskaya 5-a, tel. 8 921 458 0383. I must say that the fashion for these workshops is on the rise here, and those wishing to get close to make contact with the locals should consider participating. This advice particularly applies to Russian bride seekers.